Lock in a great price for Mawamba Lodge – rated 8.6 by recent guests! A very well organised tour and overnight stay; everything went to plan from pick-up in San Jose to drop-off at the Rio Danta Restaurant at Guapiles, where we had a great breakfast on the way out and lunch on the way back. The Mawamba lodge location between the beach and canal is beautiful, it's all calm and peaceful; the pool area, restaurant and facilities are really nice; the Superior Room was very spacious and comfortable; the tours of Tortuguero village, the beach and the canals were wonderful, likewise the Mawamba park butterfly and frog gardens; all the staff were helpful and informative all of the time and made a special effort for my wife’s birthday - thank you, this was a great experience and we loved-it! Excellent location very close to the village. My room was very clean and spacious, on the side of the property close to the ocean. Beautiful gardens and grounds. Excellent guide and kind staff. Food was good too (without being amazing, but it’s not the reason why I went there!). Good wifi. Mawamba Lodge is amazing! Everything is well organized. Ana Maria, our tour guide for 3 days, is very knowledgable, qualified and a lovely woman. We’ve seen a lot of animals. We had a really pleased stay! Thanks people of Grupo Mawamba (Mauricio) for giving us the pura vida vibes. We got an excellent guide - Jorge - for our trips. This guy is top rated - even his Spanish is so clear that it is a great value to listen to his English AND Spanish. We learned so much and enjoyed. Great location. Great food and amazing tours. Tortuguero is an interesting village and beautiful reserve. Staff is nice and helpful. very well organised with lovely guide picking us up from our san jose hotel, breakfast en route and lovely trip via boat to get to hotel. hotel and grounds beautiful. full board included three tours which were excellent and meals very good and plenty available. swimming pool very nice and lovely gardens with river and beach views. Mawamba Lodge This rating is a reflection of how the property compares to the industry standard when it comes to price, facilities and services available. It's based on a self-evaluation by the property. Use this rating to help choose your stay! Located between the Caribbean Sea and the canals of Tortuguero National Park, Mawamba Lodge offers spacious rooms and features an outdoor pool and an on-site restaurant. Hikes, tours and a shuttle service to and from some hotels in San Jose are included. Each rustic room here features wooden décor and comes equipped with a seating area and a private bathroom with a shower and toilet. They also include a private balcony with a hammock and rocking chairs. At Mawamba Lodge you will find an outdoor swimming pool and a whirlpool. Guests also enjoy a 24-hour front desk, lush tropical gardens and direct beach access for leisurely walks. The property's "Mawamba Park," exclusive for guests, features 2 butterfly gardens, frog gardens and nature trails. The property's daily departure package from some hotels in San Jose includes transportation by land and boat, a guided visit to Tortuguero town and a boat tour of the Tortuguero canals. Meal plans are also available. When would you like to stay at Mawamba Lodge? This triple room has a private pool. House Rules Mawamba Lodge takes special requests – add in the next step! Mawamba Lodge accepts these cards and reserves the right to temporarily hold an amount prior to arrival. Please note that the 3 day packages depart to Tortuguero town in the early morning between 6:00 and 7:00 from major hotels in San José area. Guests are recommended to arrive to San Jose and book a room the night before departure. San Jose Hotel Drop Off takes place on Day 3 at 16:00 pm. For a complete Itinerary please contact the property directly. 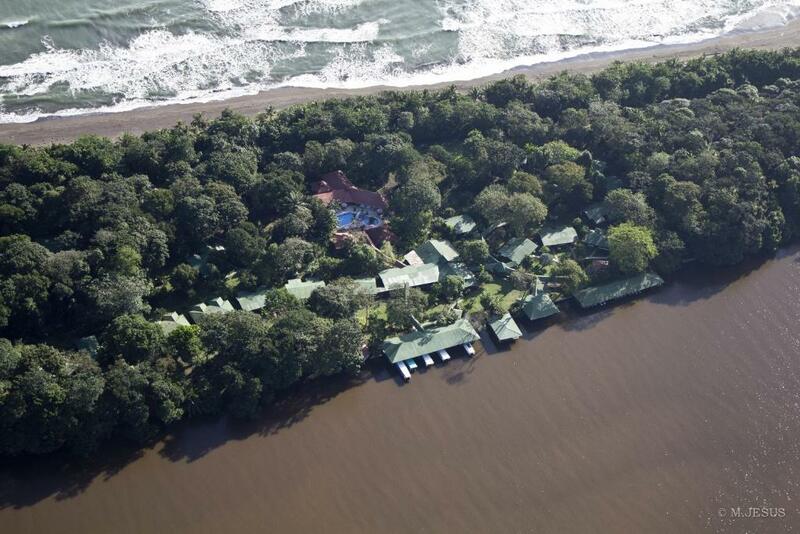 Please note that the room rate does not include the USD 15 entrance fee for adults and the USD 5 fee for children from 5 to 11 years old to Tortuguero National Park. Children of 0 to 4 years old have access free of charge. Children up to four years of age stay for free, while children from 5 to 11 years of age are charged 50% of the room rate, per person, per night. There is a maximum of 2 children per room. Please inform Mawamba Lodge of your expected arrival time in advance. You can use the Special Requests box when booking, or contact the property directly using the contact details in your confirmation. • Standard Room - Include: Transfer from San Jose between 6:00 am - 7:00 am + Full Board + 3 Tours! Some what high expectations to see wildlife due to the guide which didn't follow through. Conisdering the cost, all excursions should be included. The once included didn't really amount to much and all the others costes 35 USD per person. Nothing, we liked it all! Okay, the pick up at San Jose is at 6 o'clock. just after arrival in the late evening that is a challange. But it gets you almost one day more. Very good food with choices and plenty of it. The food at Mawamba was fully acceptable, and fine for a 3-day stay. There was plenty of fruit at breakfast and good coffee. However, all meals were buffé style and therefore fairly similar, i.e. a little boring after a while. But there really is little alternative, which is why all the lodges include all meals. As it rains so often and intensively, many of our clothes were either damp or wet throughout our stay. Somewhere to really dry things out would have been appreciated, even at a small change. We booked a 3-day/2 night package that included coach transport to/from Tortuguero, all meals and 3 tours. This was a very good arrangement and worked well. The coach picked us up from outside the lodge at which we stayed the previous night instead of from a hotel in San José, which gave us time for an early morning walk before breakfast (which was care of Mawamba lodge soon after the pick up). Also, they dropped us off at the breakfast/lunch restaurant on the way back, where we picked up our rental car for the rest of our holiday. A very good idea was that we could leave our large cases in safe keeping at this restaurant (no charge), and just take a small rucksack each with us on the boat to the lodge. It's wet and muddy on the way, and others struggled with their large luggage! Our cabin was charming and comfortable and was all we needed. We were there for the nature and wildlife, and there was plenty of that to see, at all different times of day. You couldn't swim in either the river or sea (yes, we did actually see both a crocodile and a cayman in the river - as they had warned us), and the very open beach was not conducive to sunbathing - especially as there were more clouds than sun. But a walk on the beach just before dusk was magical. It was absolutely pouring with rain the first afternoon during the visit to the local village, but we were lucky the next 2 days when we were in the boats, with only a short shower. But in this area you just accept that it will rain - any time and any day - buy a large rain poncho from the lodge shop for a few dollars! No A/C (only in the reception). Small ammount of hot water. No wifi in the rooms (only in the reception area). Expensive hotel. Green turtle night tour is more expensive than through other agents. Value for money mediocre.